Don will lead a palm tour before the social hour - tour begins at 5:15 from the Peacock Cafe. dinner and presentation begin at 7pm. Southern California Horticultural Society is recognizing Donald R. Hodel with the 2014 Horticulturist of the Year Award. His work has made a significant impact on both residential and commercial landscape horticulture in Southern California. As the University of California Cooperative Extension, Environmental Horticulture Advisor in Los Angeles County, Don devises applied research projects and educational programs to develop and extend information about the selection and management of landscape plants to commercial landscapers, tree care industries, residents and homeowners of Southern California. He has developed an expertise in trees and palms and other woody plants that has earned him a statewide, national and international reputation in the culture, including selection, planting, nutrition, irrigation, pruning, pest management and taxonomy of landscape plants. He has authored or co-authored more than 500 publications about various aspects of the identification, selection and management of landscape plants in Southern California. 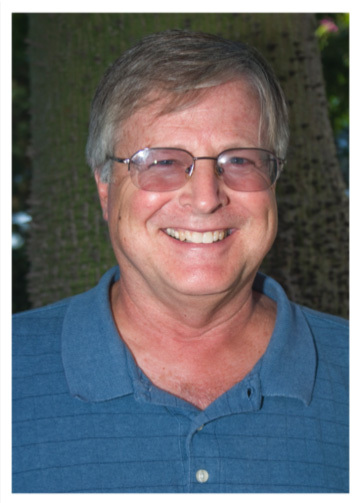 He has authored or co-authored eight books, including Exceptional Trees of Los Angeles (1988; funded by SCHS). Don has made more than 750 presentations to industry, governmental agencies and homeowners in Southern California about various aspects of the selection and management of landscape plants. His research on trees and palms has taken him numerous times to Mexico, Central America, South America, Hawai'i and the South Pacific, and Southeast Asia. He has named and described more than 50 species of palms that were new to science, many of which can or are now being successfully cultivated in Southern California. Don has shared many of his plant discoveries and introductions with the primary botanical gardens and arboreta in Southern California. Don graduated from California State Polytechnic University, Pomona (BS 1974) and the University of Hawai’i (MS 1975) with degrees in ornamental horticulture. As an undergraduate at Cal Poly, he was the 1973 recipient of the Southern California Horticultural Institute’s (as we were formerly known) student scholarship. After graduation from the University of Hawai’i, Don worked for the National Tropical Botanical Garden on Kaua’i and the wholesale nursery industry on the Big Island. Returning to the mainland in 1980, Don worked in the wholesale nursery industry in San Diego before being appointed to his current position with the University of California in 1983.